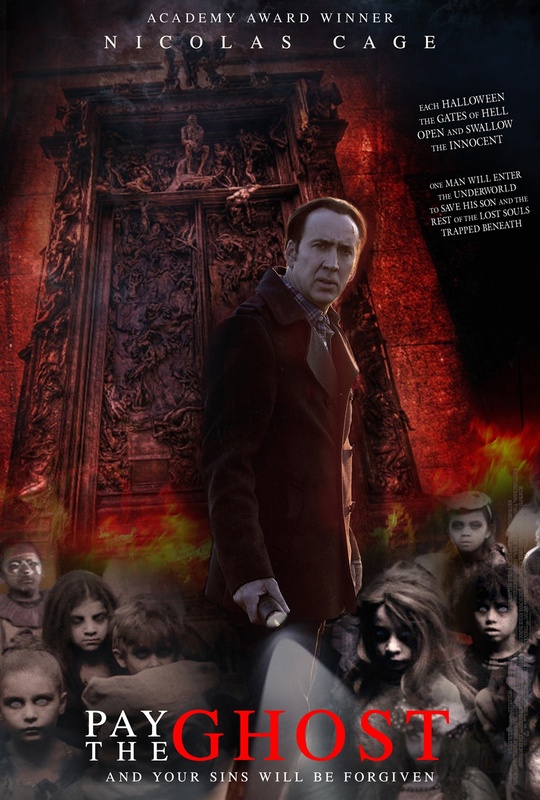 Academy Award winner Nicolas Cage in the supernatural thriller “Pay The Ghost” based on the bestselling short story of the same title by Tim Lebbon, a horror and dark fantasy writer, about a doting father on a desperate search whose son mysteriously disappears during Halloween. Directed by Uli Edel, whose work in “Baader Meinhof Complex” earned him an Oscar-nomination and from a script by Daniel Kay who wrote the horror flick hit “Timber Falls,” “Pay The Ghost” follows Mike Cole (Cage) and his son during the Halloween festivities in New York City until his son suddenly and mysteriously disappeared from his side. A year after, disturbing images of his son appear and Mike reunites with estranged wife Kristen (Sarah Wayne Callies) to discover what the images are trying to convey. Going as far as the city’s underground world to uncover clues to their son’s whereabouts in the city, they soon come across a dangerous spirit and terrifying ancient secrets. Unraveling the mystery behind their son’s disappearance, they come to realize that time is of the essence to bring him back after being revealed that a vicious vengeful ghost had taken their son along with other children every Halloween. “I love the charm of the old horror films, like the old Hammer horror films, Exorcist, The Sixth Sense, The Shining. So it’s really an honest expression for me because my mandate is drama and horror and if we can do both in one movie then we’re in to something. Ellen Burstyn really showed the importance of dramatic acting to make the supernatural more real, because of her incredibly authentic performance in the Exorcist, we believe the extraordinary circumstances that are happening. And that’s sort of what I want to try to model in Pay The Ghost,” Cage admits. “Pay The Ghost” opens September 16 in cinemas from Pioneer Films.